Wow—this is a tough category to narrow down! There are so many classic experiences at Magic Kingdom that have survived over the years, and many of them are essential to my family’s vacations. Their nostalgia contributes to their magic, but they are also fun experiences in their own right. Here are the top 10 that I selected, but know that there are a lot of honorable mentions! Walt Disney himself was inspired to build Disneyland where parents and children could have fun together while watching his daughters ride a carrousel at a local park. It is a centerpiece to Fantasyland in Disney parks, and a nostalgic ride on this classic is a must-do. Prince Charming’s Regal Carrousel was built in 1917, so not only is it a classic Disney attraction, but it is an actual classic. Okay, how many of you started singing, “In the Tiki Tiki Tiki Tiki Tiki Room?” I know I did. I am so glad the “new management” moved out of this opening day attraction at Walt Disney World. The original Tiki room at Disneyland opened with the first audio animatronic technology from Walt Disney Imagineering. Walt Disney World’s show is now back to the original as “Walt Disney’s Enchanted Tiki Room” and it is a fun classic to see and sing along. The Hall of Presidents goes back to Great Moments with Mr. Lincoln and Walt’s interest in American History. The Liberty Square attraction pays tribute to every US President, and was another 1971 opening day attraction. This is also a great attraction to show the kids a little bit of history, and enjoy an air-conditioned break! Such a sentimental/nostalgic favorite! People will wait in line for an hour to ride this very short dark ride. Peter Pan’s Flight features scenes from the movie and classic effects like flying over London with the cars driving down the street (bicycle chains painted with glow in the dark paint). It really is sentiment and nostalgia that make this ride fantastic—it certainly isn’t any technological breakthroughs. For my family this is a must-do, but we don’t wait in line for it—hit it first thing or get a FastPass+ for it. Oh how I love the corny Jungle Cruise! Our tour down the rivers of Asia, Africa and South America takes on a comical tone as each skipper puts his or her own touch on the attraction. Some of the “jokes” you will hear over and over “the backside of water,” but they still make me laugh “watch out for Ginger, she snaps.” And yes, I do sometimes say the lines with the skipper under my breath. Jungle Cruise was an opening day attraction at Disneyland and has gone through some changes over the years, but the classic elements of the setting and audio animatronic animals remain the same. This one is worth the wait—and it is especially fun to do at dusk or night. Walt Disney loved railroads and having a track that circled the park was a priority for him. Today’s Walt Disney World Railroad consists of trains that were built between 1916 and 1928 and used in the Yucatan in Mexico. Once restored they became a part of the very fabric of the park. Without the sound of the train whistle Walt Disney World just wouldn’t be the same. There are stops at Main Street USA, Frontierland and Fantasyland and you get on or off in any of those locations. I recommend taking some quiet time in the afternoon and doing the full circle tour of the Magic Kingdom. These two attractions would rank at the top of any Top 10 list I would put together, but the fact that they are classics make them even more incredible. These were some of the last attractions that Walt Disney himself oversaw development, and their use of audio animatronics was and is revolutionary. In Pirates the life-like scenes immerse you in the pillaging of a Caribbean village. 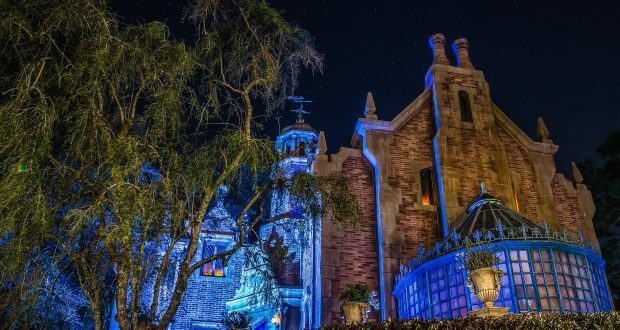 Changes have been made and additions put in during recent years to tie in to the success of the Pirates of the Caribbean movie franchise, but they don’t seem to detract from the classic storytelling in the attraction. Haunted Mansion is a fun look at the afterlife—with spooky scenes, ghosts created by classic special effects, and a fabulous soundtrack. Imagineers continue to “plus” this attraction too—which just perpetuates its popularity. A trip to Walt Disney World would not be complete without a ride (or more) on these attractions. What is your favorite “classic” Walt Disney World experience?